September 14, 2012. 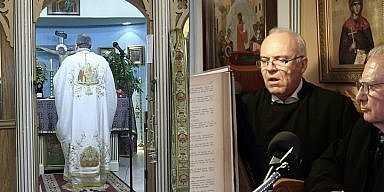 St. Anthony’s Greek Orthodox Church opened it’s Greek School last week in Vineland New Jersey. One of the smaller parishes in the south Jersey area, this rural church community has a very intimate and personal relationship with in it’s church walls. Thanks to the local Ahepa chapter of the church, the students have a classroom from which to continue their Greek language classes. 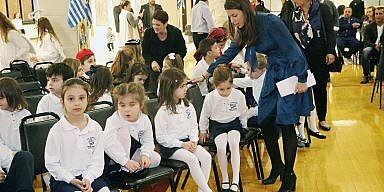 Doubling in size from 10 students to 20 this year The Greek school students of St. Anthony’s always get special attention. They also provide senior classes for adults. This year their students ranged from 40-80 years old.